You are asked a few questions and at the end of the installation process you&apos;ll be told to continue on <server>:8800. Type this address in your browser to continue with the installation. If you are using xltrail behind your firewall and want to access the app via http rather than https, click on Use Self-Signed Cert to continue. 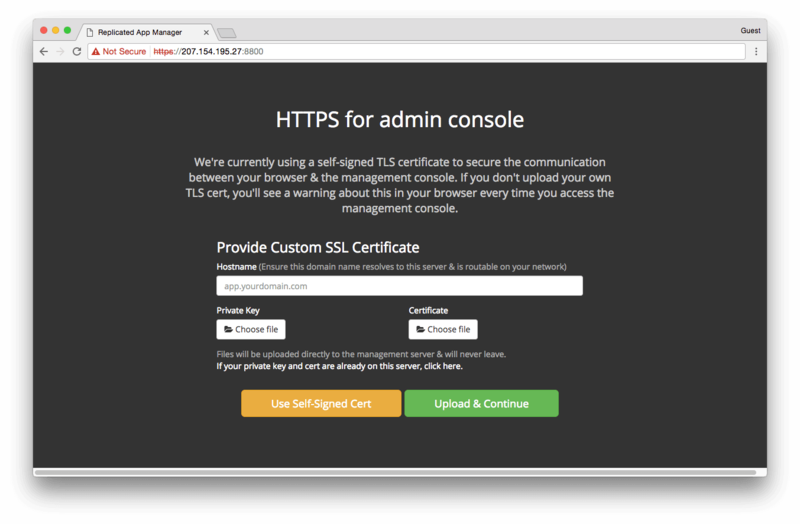 xltrail will be served on http while this management console remains on https. If you are using xltrail in the cloud, you must encrypt your traffic by using SSL/TLS certificates. In case the certificates are already on your server, click on If your private key and cert are already on this server, click here and provide the paths. Alternatively, you can upload the private key/cert via the provided buttons. Next, you&apos;ll be prompted to upload the xltrail license file that you received from us via email. In the next screen, set an admin password for this management console. If you don&apos;t use LDAP for user management, then you will also need this password for the xltrail admin user. See Maintenance for instructions on how to change the password. To finalize the installation, you are presented with the "Preflight Checks" that point out any possible issues. 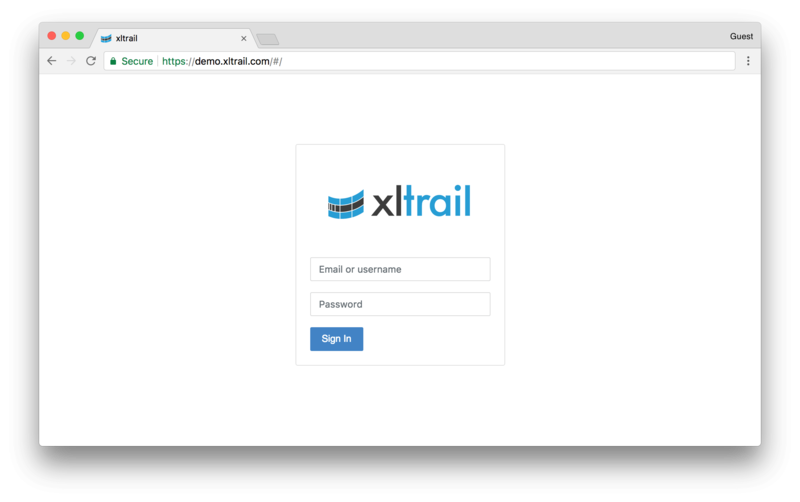 After continuing, you are presented with the Settings page where you can decide if xltrail should be served via https and if you want to use LDAP for user management. Finally, hit Save and Apply Changes. This will take you to the management console dashboard and xltrail will start. Without LDAP: Go to Settings on the top right, then setup users manually under Team. To connect to your first Git repository, continue here.